Hugh Dennis – Very funny, now move along. Okay – just a little rant. A very little one, but I need to get it off of my chest. Hugh Dennis is a very funny man – I grant him that, but there is one thing that over time has gradually wound me up about him. 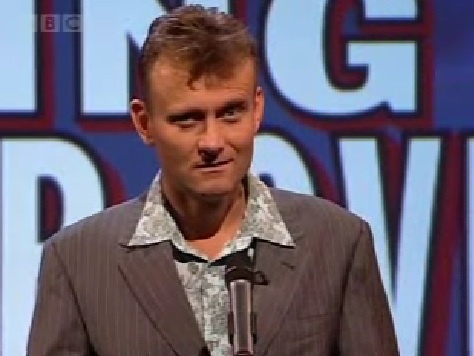 When the game comes up where each of the four contestants each have to take a moment at the mic, Hugh Dennis becomes irritating – no offence Hugh. He is often the funniest person when he says his bit, but the irritation then smacks in rapidly, as after he has made his quip, he just stands there, soaking in the camera and applause like some egotistic arse. I know there is comedy timing – but he just stands there a little too long after the joke has been made. It happens on a lot of things he is in – he just says a line and then mugs for the camera. “Mock the Week” simply highlights this as the stand up quick fire round sees Hugh Dennis repeatedly walking to the mic, spilling out comedy gold, and then standing for an eternity, gurning at the camera. Hugh – you don’t need to do this – you’re a funny man. I love your TV and radio work – The Now Show is one of the greatest radio shows out – but this trait is so damned annoying!!!! 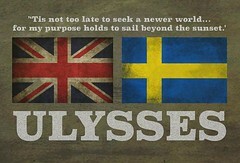 I anticipate your humorous wordage…. I then laugh out loud as you delivery the lines… and then I cringe (as you would when a relation does something embarrassing at a social gathering) as you gurn and hold the mic as if it is the last time you’ll ever get the chance.